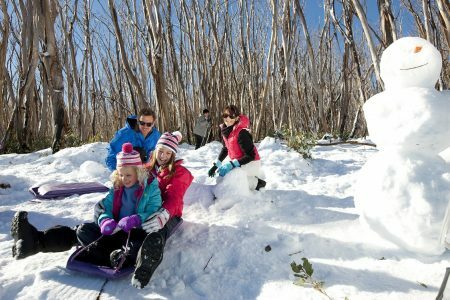 Marysville Tourism | Winter at Lake Mountain! Another winter season has come around to Lake Mountain again, and everything is pointing towards a bumper season up the mountain in 2017. The success of the opening weekend for 2017 is only a taste of what is to come in the 2017 Winter Season at Lake Mountain Alpine Resort. To help you plan a fun day or weekend out in the snow, we’ve compiled a list of some of the top attractions available this Winter! Top things to do this Snow Season! 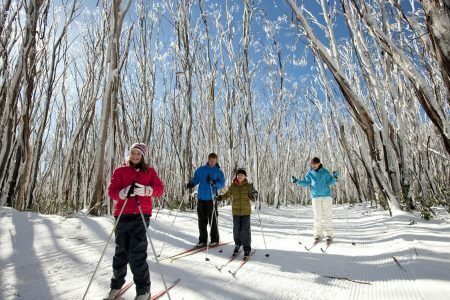 Get the kids into Lake Mountain’s Fischer Nordic Fun Park– the safe environment and expert instructors at the Fischer Fun Park create the perfect place for the introduction to cross-country skiing for young and old. Looking for a bit of extra help? Sign up for a private lesson with a expert instructor to improve your skills even further! Try something new at the Burton Riglet Park! Exclusively for those between the ages of 3 – 6 years, the Riglet Park offers a great way to introduce your littlies to the world of snowboarding, with one on one instruction on the basics that could build a snowboarding champion! Toboggan!! The ever popular tradition in the snow at Lake Mountain Alpine Resort, you won’t be disappointed in the fun that can be had flying down the slopes! The Village Toboggan Run is guaranteed to have a cover of man-made snow all season long too! Enjoy a warming Hot Chocolate from the on-mountain Cafe. Providing an array of delicious food and drinks, you won’t be leaving with a rumbling tummy when you look at the many different hot and cold options in the Café! Take a ride on the Dual 240m Flying Fox! Make the excitement of snow even more exciting, by flying over all the action on the slopes on the awesome Flying Fox! With tickets available on mountain, it’s a fantastic way to see the mountain from a different angle, or try your hand at something off slope. Slide down the Tube Run and feel the thrill of the sweeping berms. Yet another fantastic alternate activity for everyone, you’ll be sure to get your blood pumping and heart racing as you fly down the exhilarating 100 metre long dry slope Tube Run. Interested in having a bit of down time? Build a snowman in the Snowman’s Village, or practice your throwing by rolling a snowball and picking a target! The walk up to the Summit Lookout is one of the more beautiful walks on the mountain when under snow. Take a break from the slopes and enjoy the amazing views overlooking the Acheron Valley. The events calendar is looking very full of Ski races over the winter season, and it all kicks off with the Lake Mountain Sprint X on Saturday the 24th of June! Be sure to come up and see all the (hilarious) action on the day, with a race theme of ‘World Leaders’ sure to see some interesting characters take part in the races! Keep up to date with everything that is happening at Lake Mountain on their website, www.lakemountainresort.com.au, or get social and keep your eyes on the Lake Mountain Facebook page over the winter season.